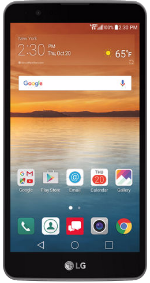 The LG Stylo 2 V is a 4G LTE smartphone that comes with a 5.7-inch IPS LCD display panel with a 720x1280 resolution and 258ppi index. Powering the device from within is a Octa-Core 1.8GHz ARM Cortex-A53 processor with 2GB of RAM and the Mali-T860 GPU. Aside from its 16GB onboard storage, the LG Stylo 2 V comes with a microSD card slot for up to 2TB memory expansion. Camera-wise, the phone is equipped with a 13MP rear-facing camera with 1080p HD video recording and a 5MP camera in front. Its removable 3,000 mAh Li-Ion battery helps it last up to 15 days in standby and 13 hours of talk time. Upon release, the phone runs on the latest Android 6.0 Marshmallow OS. The device comes with fingerprint sensor and a stylus.